Fabulous restaurant to enjoy a platter of fresh shellfish including lobsters and oysters. The family has been providing exquisite dishes since 1964. The restaurant owners moved from Ibiza to the Costa Blanca where they opened a restaurant in Santa Pola and then in La Zenia. In 1996 they moved to Torrevieja, where they opened the first Marisqueria Torrevieja serving fresh fish and shellfish from the bay. They then opened Marisqueria Torrevieja 2. The restaurant specialises in rice and shellfish dishes such as rice with lobster, mussels, octopus, oysters, red prawns and more. It's a very extensive menu with a range of tapas-type dishes for starters such as croquettes, calamares, Russian salad, seafood salad, and prawns. 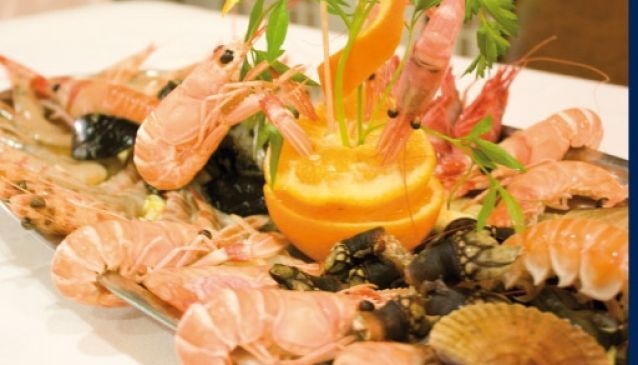 The list of fish and shellfish available is amazing with red prawns, lobsters, oysters,and barnacles on the menu as well as typical Andalusian dishes, mixed fish and shellfish platters, mussels, and rice dishes. Two or more people can enjoy a lovely platter of fish and shellfish including prawns, mussels, crawfish, shrimp, clams, barnacles and. periwinkles.